Today has just been one of those days. One of those days when nothing really went wrong, it just would have been better had I stayed in bed. My emotions this week are all over the place. Sunday, we went back to church for the first time since Kyleigh was born and died. We had intended to go long before now, but we didn’t want the first week to be a holiday (there have been three: Memorial Day, Mother’s Day and Father’s Day). Other weeks we just weren’t up to it and then my grandma’s death set us back a few weeks, as well. The boys were starting to ask about why we haven’t been, so we decided it was now or never. Overall, I think it went well. The fact that we had waited so long probably helped. We saw some friends and a few familiar faces, so that always helps, too. One thing that Rodger commented on later was how he had forgotten that there were so many babies in church. I tried not to pay attention. Since I was very pregnant the last time we had been, I expected the boys’ Sunday school teachers to ask about the baby. Nobody said anything, so I figure either we had been gone so long that they forgot I was pregnant, or someone had told them what happened. Either way, I was glad nobody said anything. Sunday evening, Rodger and I went to the cemetery and saw Kyleigh’s headstone for the first time. You can probably imagine the emotions that surround that, although we were not surprised to see it in place. When we were out there last week, the temporary marker had been removed and flags had been placed to mark the ground for her permanent marker. Kyleigh’s headstone is beautiful. It just makes everything so final. Now, instead of looking down at dirt and hints of growing grass, I see my daughter’s name. I see one date, where everyone else around her has two. Having her headstone placed was the last step in the “funeral” process. Now all that’s left is paying off the credit card that we used to buy her headstone. Thursday marks three months since Kyleigh left us. Three months is a big milestone for me, and not in a good way. At three months, babies turn from newborns into infants. They start to develop a personality. They don’t sleep as much during the day. It becomes harder to tell how old a baby is starting around three months. It’s fairly easy to tell when a baby is a newborn. Guessing the age of infants is harder, especially if they are smaller or bigger for their age. I find myself less aware of newborns now and more aware of infants, wondering how close in age Kyleigh would have been. These are the babies that will enter Kindergarten the same year as Kyleigh would have. I wonder if in five years, I will look at five year olds the same way that I look at babies now, with envy. Three months also marks milestones for me physically. My hair is still falling out; a daily reminder that I was pregnant. The maternity clothes still hang in my closet, although I refuse to wear them anymore. Newborn items can be found throughout the house. Items that would have been put away by now if Kyleigh was with us because she would have outgrown their use. Three months is a quarter of a year. A quarter of Kyleigh’s first year is already gone. Friday is the light of my week. Oliver turns 5 on Friday and I am so excited for him! He is excited as well and we have a lot of fun things planned throughout the week to celebrate him. Can you see why my emotions are like a roller coaster this week?? One thing that makes my emotions crazy like this is being aware of so much more then I used to. Some of it is good, most of it is bad. I am super sensitive to babies and women who are pregnant. They are everywhere. I always noticed them before Kyleigh died, but now, they are coming out of the woodwork. Since I have two children under the age of five, most places we go are kid friendly. Enter the abundance of complaining pregnant women and crying babies. Rodger and I went on a weekend getaway last weekend and the first night, there was a baby crying in the room below us. On the flight home, the lady sitting next to us was pregnant with her third child. The flight attendant thought this was the greatest thing since sliced bread and stopped to chat with her every time she walked by. We heard the whole family story and how number three was not planned, but they were so excited anyway! Sense the sarcasm. I wanted to scream, but figured that would get me kicked off the plane and all I wanted to do was go home to see my boys. The other thing that I am much more aware of is the death of other children. In the past three months, I know of two other families who have suffered the loss of a child. Another is fighting for his life at a local children’s hospital as I type this. These are not families that we know directly, but are friends of friends. Just yesterday, I connected with a mother who lost her daughter a year ago in a tragic accident over the 4th of July holiday. When we visited the grave of my grandmother over the weekend, there is a mother, father and daughter who are buried not too far from Grandma. The mother lived to be 100, the father was in his 40’s and their daughter passed away when she was 7. What a story that woman must have had to live so long without her husband and daughter. Children die every day. Did I turn a blind eye to it before? I know that I am more aware of these things because of my loss of Kyleigh. If Kyleigh was with me, I would look at other babies and expecting mothers with joy, not sorrow. I would see them, but would ignore them at the same time because I would be focused on my baby, not theirs. If Kyleigh was with me, I would hear these stories of children dying and while it would make me sad, I would say “I can’t imagine going through that” or even as more say “I’m glad I’ll never have to endure that pain.” Well, guess what? I never thought I would have to go this and endure this pain. But I am and so are they. Awareness leads to sensitivity and empathy. I am sensitive towards babies and pregnancy. Having these feelings is part of the grieving process. I will not always turn the other way when I see a baby. For now, it’s the only way I know to deal with my pain. I have extreme empathy for those who have lost a child. My heart breaks for these families who are experiencing the pain of the death of a child. I feel like I grieve all over again when I hear of these tragic stories. 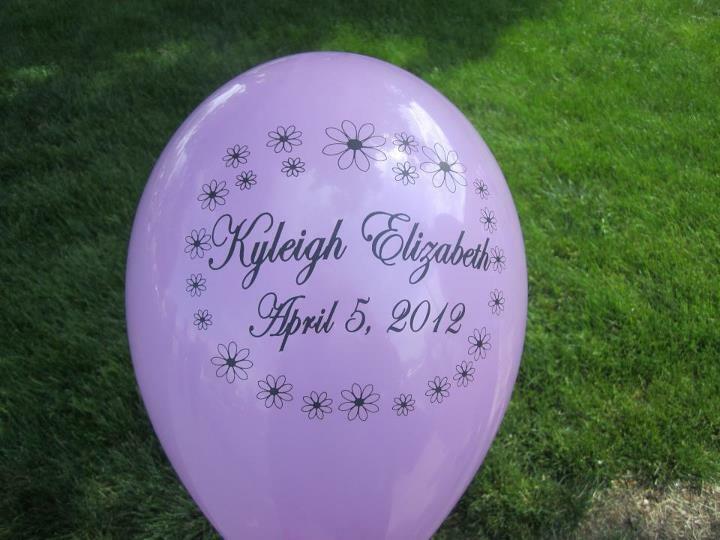 Knowing of two, possibly three, deaths of children so close to Kyleigh and through people who are connected to us, is just overwhelming. I prayed to God tonight that he would heal the little boy that is clinging to life. I prayed that He would spare this mother from the pain that I am going through. These are only a few of the things that I have become more aware of these days. There are others, such as the smiles on my boys’ faces, laughter in our home and the number of kisses I get each day from all of my boys. There is good in all of this. Some days are just still so sad. This is the first week that I have driven in six weeks. I got released from all of my restrictions a week ago today and can now resume all regular activity. I drove for the first time on Tuesday, making stops at Hobby Lobby, Michael’s and Target. I was exhausted by the time I got home and I was by myself; no boys to get in and out of shopping carts and the car. Wednesday we met friends to play at a local business full of fun activities for the kids and on Thursday, we checked out the new aquarium in town. Again, I was tired after each of these days, but enjoyed seeing the boys having fun. My stamina is not what it used to be and it is going to take some time to build it back up again. When people hear that I am getting out and about, or see me out and about, they are excited for me. They are glad to hear that my restrictions have been lifted, as that must mean that I am healed, physically, at least. What most people don’t realize is that getting out and doing anything right now is a struggle. I cried in the middle of Hobby Lobby because I had to pick out flowers to place on Kyleigh’s grave for Memorial Day. I walked around Michael’s forever trying to find the perfect arrangement of red flowers, because that’s what the boys requested for Kyleigh. Target was exhausting on every level. I hadn’t been in so long that I forgot where a lot of things were and had to double back more than once, making me even more tired physically. Every time I turned the corner of an aisle, I prepared myself emotionally, just in case I saw a newborn baby. You don’t realize how many babies are out there until you really don’t want to see one. Our play date on Wednesday was successful. Not too many others were there that day, the kids all got along and I had some time to have genuine conversation with a friend I have known since at least Kindergarten. I left feeling pretty good and thinking to myself that I can do this. Going to the aquarium on Thursday was another fun day, especially because Grandma went with us. The boys were excellent and I powered through seeing the occasional infant. Getting out of the house really is good for me, I realize that. I also realize that it presents a whole other set of triggers and by today, Friday, I am exhausted emotionally and physically. I made it through this week. Another week down. This was the last week of school for many and Memorial Day is this weekend. For most, this marks the kick-off of summer. When Garrison saw that the pool was open today, he clapped from his car seat and said, “Yay! Summer’s here!” The timing of me being able to resume regular activity at the same time as summer starting is not necessarily a good thing. It means that time is marching on. A new season is beginning, but I am still stuck in the old one. Rodger and I mapped out the next few weekends and before I knew it, we were into July. This weekend is Memorial Day, the next is our family tradition of making the drive to ride Thomas the Train. A free weekend after that is before Father’s Day, followed by our anniversary weekend. The next weekend gets into the Fourth of July and Oliver’s birthday. I know not everyone cares what our weekend plans are, but this was a huge realization to me that life is moving on whether we want it to or not. It’s going to be the middle of July before I know it and while I am excited to celebrate my son’s fifth birthday, I am so saddened by the fact that Kyleigh won’t be here for it. Every holiday, every family celebration, every trip to Target, is a reminder that Kyleigh isn’t here for it. We have plans to travel later in the summer to see family and I am not excited about it. Rodger and Oliver were to make this trip by themselves and I was to stay home with Garrison and the baby. Now that there is no baby, Garrison and I are going too. How can I be excited when every time I think about it, it reminds me that Kyleigh’s death is the reason that I am going? I am going for the boys, for they are the reason that I do everything right now. It is their lives and their time that make me get up every day and power through. Their lives are continuing. Their time is marching on. I don’t want my boys to miss out on life or time because I am too sad to take them to the park where I might see a baby girl. Just please realize what a struggle it is for me to do so.